With so many couples focusing on creating memorable experiences for their guests, we’re seeing an increase in hiring live Tampa Bay wedding bands and musicians. Speaking from experience, finding a live musician is a difficult task to handle on your own, so we recommend going through a Tampa Bay talent agency that can recommend a variety of musicians at varying price points. 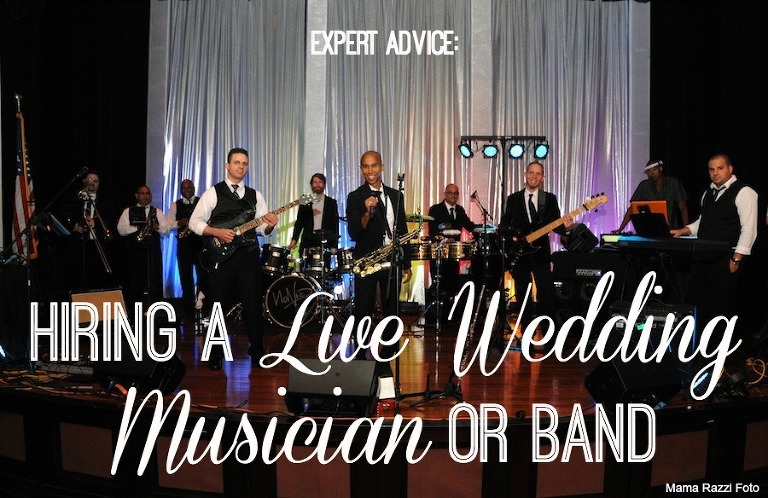 Trust us, there is a huge difference between hiring your neighborhood bar band and hiring professional musicians who understand weddings. Remember, your wedding entertainers will do more than only play music, they’ll also be the MC for the night and play a huge role in your managing your wedding timeline. We’ve found that most live ceremony musicians typically cost $275-$350 for one hour, while wedding bands range anywhere from $3,500-$8,000 for a 4-hour reception depending on the size and talent. To help with decision making process, here are four things you need to know about hiring live wedding entertainment. How Many Sets Will They Play? Do They Take Special Requests? Does Your Performer Meet Your Venue Requirements?